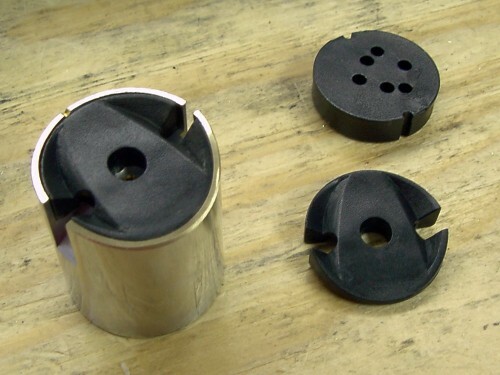 Get ready for throttle response you never knew existed! **When installing UFOs, the pilot jet must be reduced substantially (usually about 50%, sometimes even more). 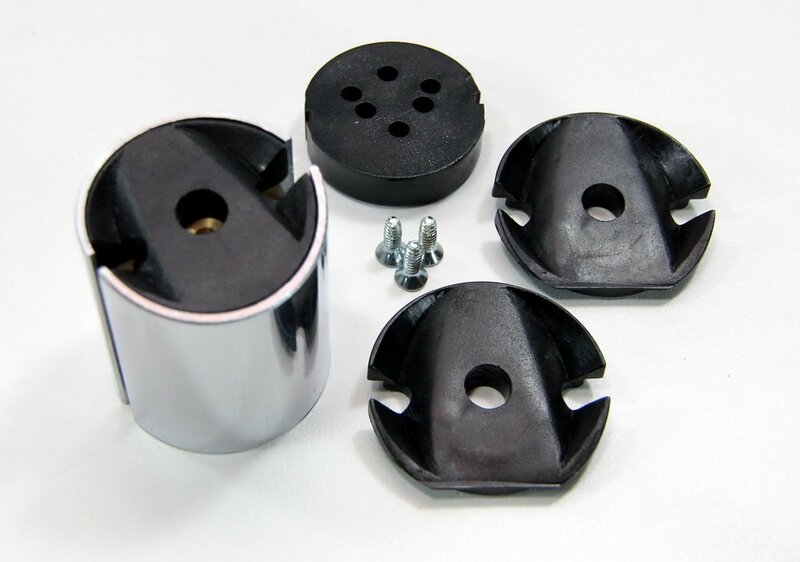 The UFO is a simple, trouble free, aerodynamic piece that fits VM Mikuni carburetors from 30 mm through 44 mm. 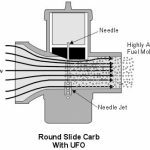 The UFO makes a normal round slide carburetor out-perform the more expensive flat slide carburetor by eliminating turbulence and increasing air flow and velocity, creating a highly atomized fuel charge. Normal gains are 3/4 to 1 HP per 100 cc of engine displacement on 4 stroke engines and 1 1/2 to 2 HP per 100cc of engine displacement on 2 stroke engines. (Minimal rejetting and tuning are required). 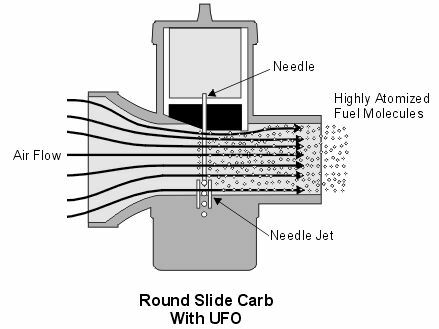 Without the U.F.O., the air hits the forward wall of the slide cavity creating a rolling air turbulence which forces the poorly atomized fuel droplets to the lower portion of the carb bore resulting in poor fuel atomization and poor performance. With the aerodynamic U.F.O. filling the slide cavity, the rolling air turbulence is eliminated. 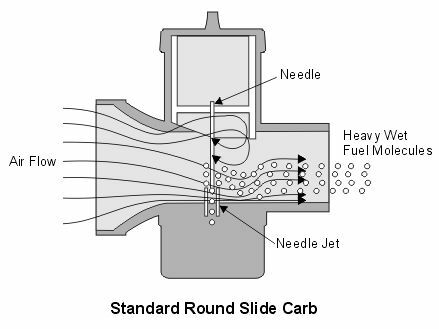 The higher velocity air flow pulls the fuel further up the needle and higher in the carburetor bore resulting in superior fuel atomization. This means more HP, quicker throttle response, improved fuel economy and a cooler running engine. 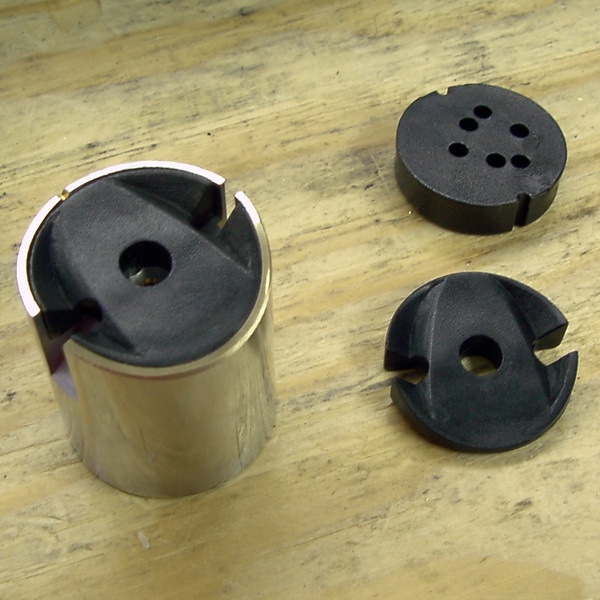 The Majority of all applications require a 3.5 UFO Cut-away piece. 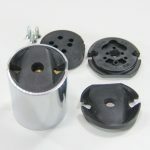 This is what is included in all kits as ordered. **When installing UFOs, the pilot jet must be reduced substantially (usually about 50%, sometimes even more). Most installations end up with a 3.5 UFO and a #17.5 or #20 pilot jet. These sizes are usually difficult to find locally. 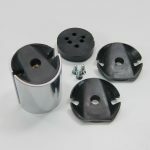 Thunder Products has all sizes in stock for $5.00 each. 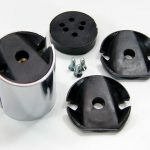 List your vehicle make, model and modifications in the special instruction box and we can give you a suggested size based upon our experience. Or if you know what size you want, list that in the special instruction box and add the number of jets needed to your cart. We are frequently asked how or if the UFO works with a Dial-A-Jet. The answer is they work great together. When a UFO and Dial-A-Jet are used on the same carburetor you have a very high tech carburetor at a reasonable price. 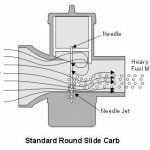 Due to the carburetor’s newfound ability to atomize fuel more efficiently, your engine can produce maximum horsepower and torque under all conditions without changing jets. The chart will show you where each product is most effective. As you can see by the chart, they compliment each other. What about clutching your snowmobile? Do you have to change your clutch after installing UFOs? NO! 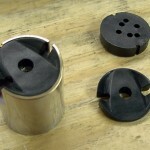 Should you change clutching? YES! Clutching is simply a matter of having your transmission follow the power curve of your engine. Therefore it should be easy to understand that any changes in the power output of your engine must be followed by a corresponding change in clutch calibration. Without making this change, the power does not get to the track or ground. These graphs will show you how the power is effected by UFOs and how to get the power to the ground. Your clutching needs to be adjusted in low and midrange only. THUNDERSHIFT or HEAVY HITTER Kits make this easy to do. With Thunder Shift/Heavy Hitter you can adjust low range, midrange and top end independently – no other method gives you these options. It’s inexpensive, it’s easy, it’s accurate! By adjusting the clutch to run the proper RPM you transfer the power to the track giving you a big boost in performance. Check out our Facebook page where we announce new products, links to articles, and more! Please read the installation and tuning manual prior to calling our tech line. Technical questions are answered by phone only during regular business hours. Friday and Saturday by chance only.